You are not logged in. [Log In] Synth Zone » Forums » The Arranger Keyboard Forums » General Arranger Keyboard Forum » What features do you like best about your current arranger keyboard? #294375 - 09/24/10 11:52 AM What features do you like best about your current arranger keyboard? ... please not a 'wish list' but of the features you currently have on your current arranger(s), which do you love and which do you use more often? Design Engineer & Product Specialist. #294376 - 09/24/10 12:16 PM Re: What features do you like best about your current arranger keyboard? I love the recorder, it works with styles, quick and easy, and I can render down to midi and work in the studio with it. I work with all kinds of music in the studio, and this is a great tool to make a scratch track or sketch track. 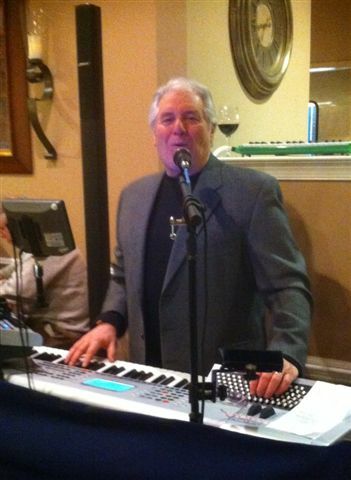 Music Finder is great for my live performances. I find it better than registrations because I can search, page, and get my whole repertoir of 600 songs up at the touch of a button, and I can cue up the next song for instant medleying. On/Off mixer is great live tool as well, because I usually use only drums, bass and my pianoplaying. But with the on/off mixer I can quickly get the piano part into the mix and change my lead sound to an organ or guitar for a solo part, or to conduct my little one man band live. I play all except Classical and Latin music. #294377 - 09/24/10 12:54 PM Re: What features do you like best about your current arranger keyboard? A comfortable 76 keyboard action. Sufficient weight to not feel disconnected from piano performance, not too heavy to make organ performance a chore, either. Full length keys (especially the black ones), but rounded off whites rather than sharp piano shape ones... makes for comfortable organ smears and glisses. Easy to navigate registration callup, with full recall of all parameters. Seamless sound changing, no glitches or hiccups. Sounds morph into each other without cutting off the previous one. Cover Tools... instant one button complete revoicing of a style or SMF in a myriad of different templates. A superb way to get more mileage out of oft used or stale styles. Once 'close', Makeup Tools can be used to fine tune. Handy for when you want to do a rock style in front of a subdued crowd. Simply select the Acoustic Jazz template, and those pounding drums and rock guitars turn into brushes, jazz guitars and upright basses, on the spot! Easy, quick slider navigation to ANY performance parameter, Vol, Pan, Rev, Chr, voice edits, etc. And as easy to navigate to all SMF or style controls, too. This is my almost ONLY live keyboard, for everything from solo work to playing without ANY automatic features in a live band. As a pure arranger, it lacks some things that others have. But as a live performance keyboard for ANY situation, it has few equals... Amazingly fast navigation to everything you need to create a setup with splits and layers, and all possible without setting things up in advance. Beats the pants off of ANY WS I've ever used! #294378 - 09/24/10 01:35 PM Re: What features do you like best about your current arranger keyboard? This is a weird product, it is marketed as a student piano, but it is really an entry-level PSR arranger with 76 keys. I use it for solo piano gigs, and at dance parties. It has a few sounds, but the key bread and butter sounds Piano, drums and bass are great! No other stage piano has drums and accompaniment for under $500, and light enough to carry with two fingers, this thing is a real workhorse! I wish I could add my own styles to it and organize them in folders or music finder database, then it would be my main instrument for sure! #294379 - 09/24/10 01:51 PM Re: What features do you like best about your current arranger keyboard? #294380 - 09/24/10 01:56 PM Re: What features do you like best about your current arranger keyboard? 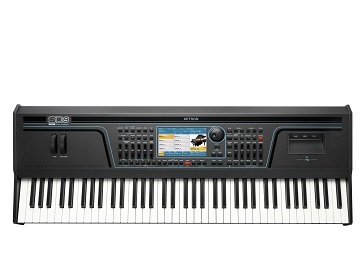 This is a weird product, it is marketed as a student piano, but it is really an entry-level PSR arranger with 76 keys. Careful! Don't get Ian all worked up. He's running out of emoticons! #294381 - 09/24/10 01:58 PM Re: What features do you like best about your current arranger keyboard? #294382 - 09/24/10 02:05 PM Re: What features do you like best about your current arranger keyboard? But I will add the improved Music Finder that allows you with one touch of a button to add files to the database Not only can you save styles, but you can add midi and mp3/wav files then pull them from the USB stick where they are stored. #294383 - 09/24/10 03:08 PM Re: What features do you like best about your current arranger keyboard? A) 76 keys so I can do Piano pretty well, and have plenty of room for 2 sounds on upper (3 if I like). Great action as well. AND plenty of room for chords so I don't have to JAM them in. And with plenty of rom on LH...I can use sounds better as I have good range for instruments. A,1) Great realistic sounds. powerful drums & percussions. C) MIDI implemtation is good...allowing me to EASILY do user sounds with exteral sound modules or VSTi's on my PC. You can just assign bank and PC to any user voice. Call them up in OTS (1-4) or performances. G) Superb programmability to do what I want. H) DNC sounds and ability to create your own full DNC caable sounds. I) Touch screen that is easy to use..andMANY short cuts to get where I want fast...without lots of menu levels. J) Great build quality...metal cabinet. All this helps me play better and sound better with the music I like...ballads, love songs, musical theatre, show songs, olds standards, orchestral stuff. #294384 - 09/24/10 04:02 PM Re: What features do you like best about your current arranger keyboard? Live entertainment, Real Ale, Great Scenery, Great Beaches, why would anyone want to live anywhere else (I�m definitely staying put). #294385 - 09/24/10 05:01 PM Re: What features do you like best about your current arranger keyboard? Ok so now we know less then before as EVERYONES keyboard is GREAT!!!!!! Don't tell me the EGO genie is sticking his nose in here also? #294386 - 09/24/10 05:13 PM Re: What features do you like best about your current arranger keyboard? Ok so now we know less then before as EVERYONES keyboard is [b]GREAT!!!!!! I love my Yamaha, but it isn't an extension of my phallus, so if you want to flame my keyboard, be my guest. No EGO involved in that statement. #294387 - 09/24/10 06:10 PM Re: What features do you like best about your current arranger keyboard? #294388 - 09/24/10 07:21 PM Re: What features do you like best about your current arranger keyboard? #294389 - 09/25/10 11:01 AM Re: What features do you like best about your current arranger keyboard? 1. Used as a generator of backing tracks minus one (keyboard or Guitar for MP3 creation on Netbook for live use where an 88 weighted board is carried and a guitar with Bose Mod II System. Used exclusively in Home Studio. Never left home LOL..
#294390 - 09/25/10 04:49 PM Re: What features do you like best about your current arranger keyboard? I mainly use the Midjay Plus. I especially like the small footprint, light weight, 80 gig HD - I have a lot of stuff in there. I like being able to add, subtract, organize via USB connection. I use it with several different controllers; mostly midi accordion and frequently Yamaha KX5 or Master MK4. I like the live sound of the midi file playback and of the styles. I often use it in conjunction with a Korg PA800 as I like a lot of the PA sounds, and they are easier to access during gigs (easier than the Midjay), In addition to the features already listed for the PA boards, I like a lot of the styles and when used in together with the MJ Plus, I have a good variety of sounds and styles. I use the Midjay only for gigs. When I have to make a sequence, I use the Korg. For many of my gigs, especially weddings, I play cocktail hour then dinner music, and for the dance portion I DJ with the Midjay (WAV files) with a live tune thrown in here and there. Kingfrog, What a neat and tidy workspace. It would take me months to unclutter my space to look like that.